MBP Bearings deploys fully integrated manufacturing facilities featuring a wide array of diverse technologies under one roof to produce & manufacture an extensive & diverse range of critical auto components with advanced tribological properties. Our manufacturing infrastructure can handle a wide variety of metals, coatings, features & diameter ranges. The cellular organization of our manufacturing setup affords flexibility for small batches & at the same time leverages the economies of big volumes. We manufacture 20 million bearings, 30 million bushes & 10 million thrust washers per annum. Mechanical engineering is one of the mainstays of Indian industry and is admired worldwide as a symbol of Indian engineering skill. MBP's products and solutions ensure the company's close ties with mechanical engineering, especially because high-quality machines require equally high-quality components. MBP is represented in almost all areas of mechanical engineering with its cast and forged parts, special profiles, linear guides and rotary connections. 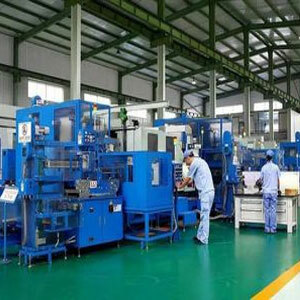 MBP's products are used in plastics machines, textile machines and machine tools as well as measuring machines. What’s more, in high-precision applications MBP is an established supplier of hydrostatic bearing systems. Sophisticated machine trains and handling systems are achieved with automation solutions from MBP.